Over the years I’ve made a few attempts at rugelach. At its best, this deli favorite is flakey, nutty, just barely sweet and a little chewy from the carmelized jam. Even not at its best, this cream-cheese based pastry is pretty delicious. And then there are my versions. My fault, I think, lay in attempting the lovely crescent shaped version. Perhaps I was too heavy handed with the preserves because everything would leak out and sort of cement the cookie to the parchment. 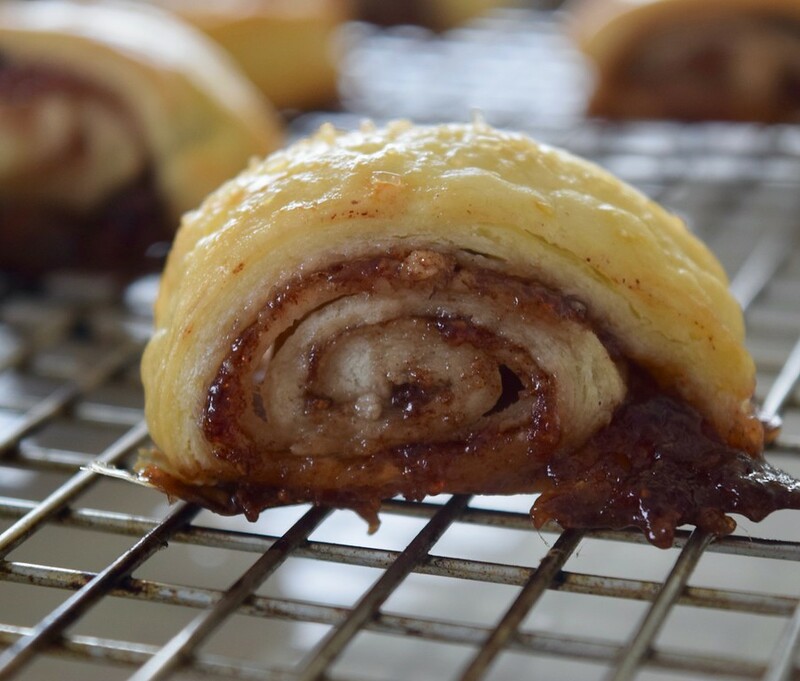 A couple of years ago, Deb Pearlman of Smitten Kitchen did a sort of study on variations of the rugelach shape. And, because she’s one of my kitchen heroes, I took good notes when I rediscovered the post earlier this year. With her help, I made the move from crescents to rolls. It’s made all the difference. 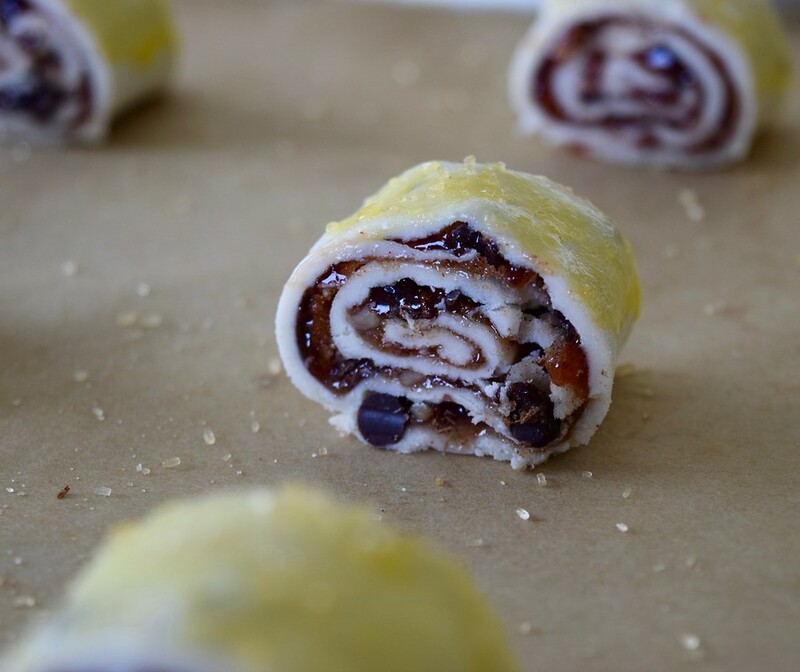 Fair warning, rugelach (even in easier shapes) is a finicky mistress. 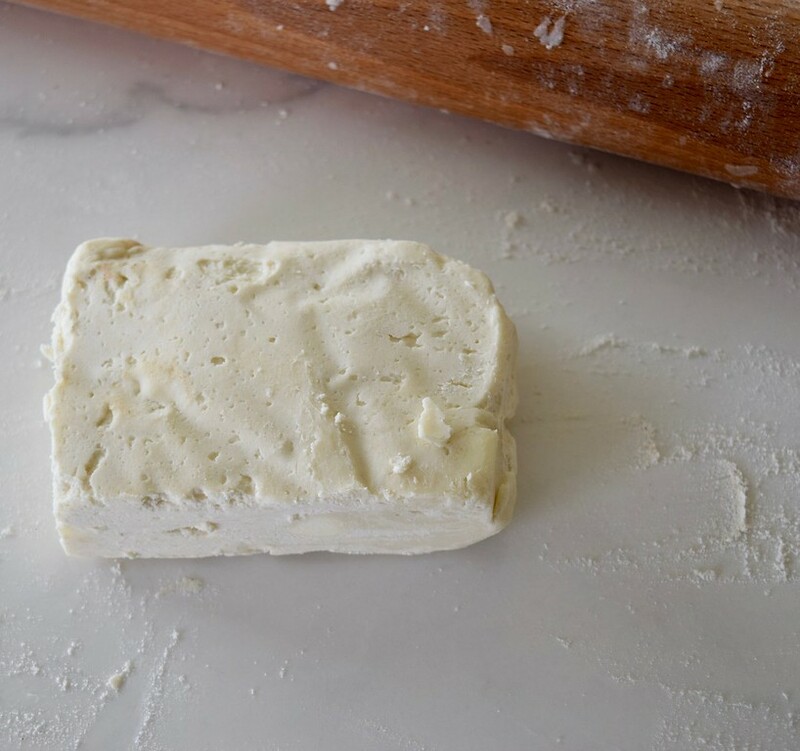 While the dough comes together easily and quickly in a food processor, it is sticky and only behaves when really cold. Rugelach also takes some diligence. Not happy to be rolled out in a single attempt, the dough insists on being addressed one-quarter at a time. Listen to the recipe. I didn’t the first time. I wished I had. 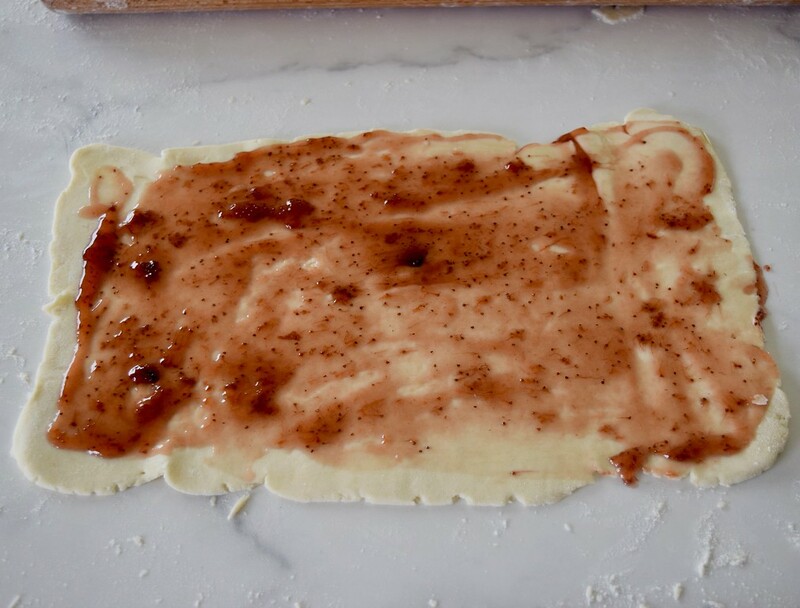 Funny (or maybe just typical) story about the rugelach pictured here. I knew I had a jar of raspberry preserves in the cupboard and grabbed the new jar for this recipe. On the first roll-out of dough I thought, ‘hmmm, the seeds in this raspberry jam are all clumped together, how weird.’ I pulled off the little ball of seeds and tossed them. On the second round I thought, strange, this is really is pink for raspberry jam. On the third round I observed how strawberry-like the jam smelled. It wasn’t until I was doing the last roll out that I actually looked at the jar. Yep, it was strawberry. My rugelach competency leaves something to be desired. Luckily, much of the fun is in the practice. I’m also going to leave you with the link to Deb Pearlman’s recipe and instructions. I haven’t advanced enough to add my own spin. And, not that I’d question her (other than to ask her to be my bestie in baking), but I did my own research and she’s right. 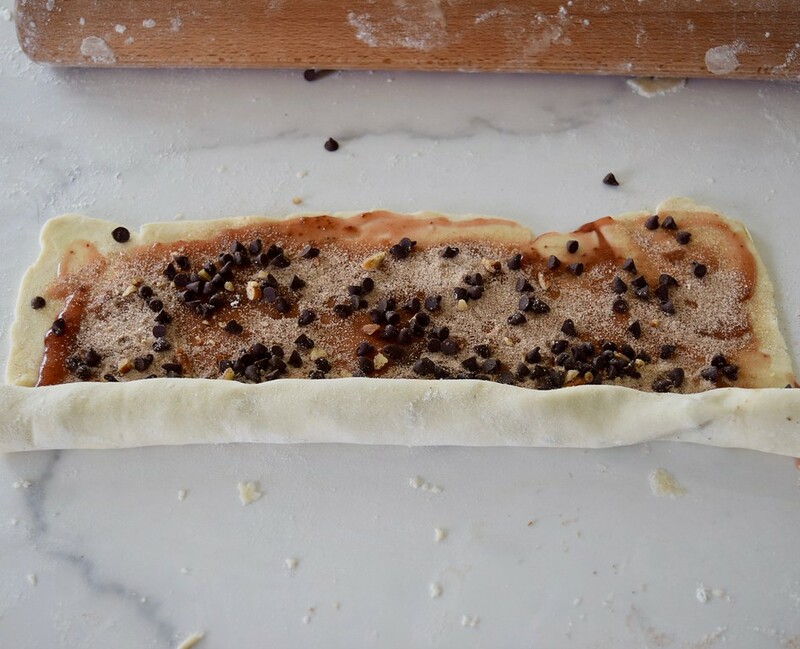 There really is only one recipe for rugelach dough. The success (or in my case, middling okayness) it seems, lies with the baker.